Xanadu's Concept Art by Sarel Theron. Xanadu – the very name brings up reveries of a legendary city with palatial adornments and mystical flair. In truth, it was a grandiosely conceived settlement built by the grandsons of Genghis Khan, with the centerpiece of an imposing palace that boasted of 100,000 sq ft of area (a spatial scope that is twice the floor area of present-day White House). And, within this massive structure, the researchers have found various techniques and objects of ostentatious decorations. 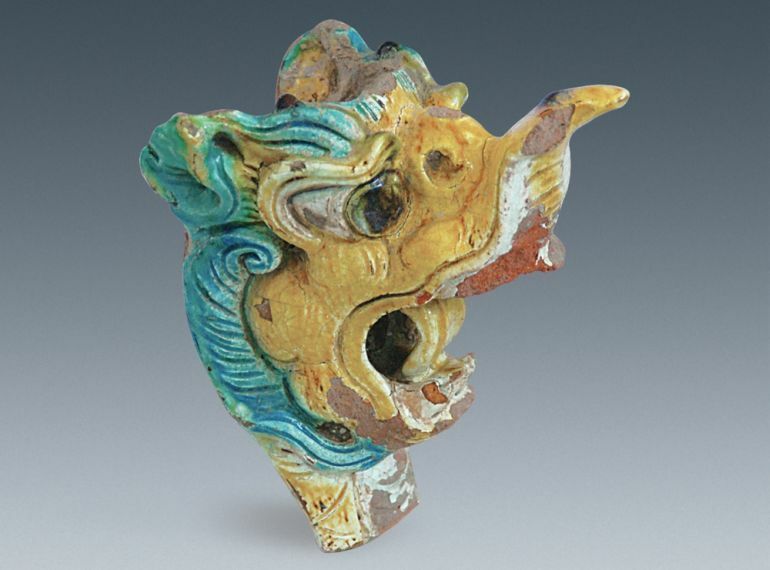 The above pictured vibrantly hued dragon head served as one of such embellishments, probably at the end of a roof beam of the building. 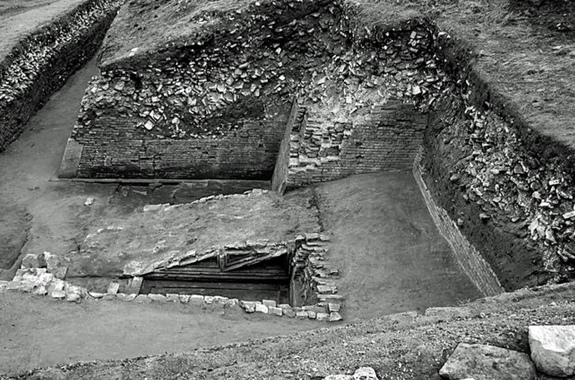 In addition to such sculptural objects, the archaeologists had also found some engineering innovations, including a special type of ramp known as mandao – that was used by animals and carriages to enter the main palace, thus harking back to the pastoral tendencies of the Mongols. In terms of history, Xanadu (or originally Kaiping) located in what is now Inner Mongolia, was designed between 1252 – 1256 AD by the famed Chinese architect Liu Bingzhong. The endeavor was presumably started on orders of Möngke Khan (grandson of Genghis Khan), when the Mongols were still conducting military operations against the Chinese. By 1259 AD, the conquest of China was complete, achieved by none other than the great Kublai Khan (another grandson of Genghis Khan). He then renamed the city as Shangdu (or Xanadu), and used the grand settlement as his summer capital. Round this Palace a wall is built, in-closing a compass of 16 miles, and inside the Park there are fountains and rivers and brooks, and beautiful meadows, with all kinds of wild animals (excluding such as are of ferocious nature), which the Emperor has procured and placed there to supply food for his gerfalcons and hawks, which he keeps there in mew. Of these there are more than 200 gerfalcons alone, without reckoning the other hawks. The Khan himself goes every week to see his birds sitting in mew, and sometimes he rides through the park with a leopard behind him on his horse’s croup; and then if he sees any animal that takes his fancy, he slips his leopard at it, and the game when taken is made over to feed the hawks in mew. This he does for diversion. As for the other significant objects unearthed from the extensive site, the archaeologists have also came across eave-end tiles and dripstones (used for roofing and deflecting rainwater) that are bedecked with vivacious blue-and-yellow patterns. 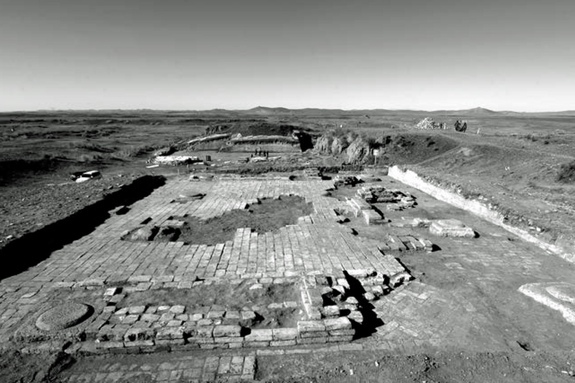 All of these excavations projects were conducted by a trio of researching teams from Inner Mongolia (in China), with their detailed report being initially published in the Chinese journal Wenwu. The study was then translated into English by the folks over at Chinese Cultural Relics (check out more of their Chinese history-oriented works here and here).